and see the person behind the illness. After qualifying as a registered nurse in 1992, Louise Barnett worked for the NHS for seven years as a surgical nurse. With four young children to care for, she joined the private sector in 1999 as it offered more flexibility for working parents. 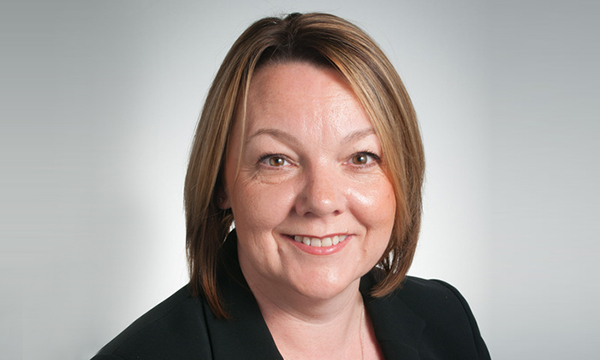 She spent 14 years with Barchester Healthcare, moving up to deputy manager and then home manager, before joining Balhousie Care Group in 2013 as an area manager. She took up her current post as director of operations for the group in 2015. I am responsible for the running, quality and financial performance of all 25 of our care homes across Scotland. Our care home residents. We deliver care to over 900 residents with a variety of care needs, including ventilation. My role is to develop and oversee how the care homes operate, making sure we deliver the best possible care to all our residents. No two days are the same, and the diversity of the role is both challenging and rewarding. I’m a big believer in person-centred care and putting residents first, so it’s really exciting to work in an environment where we can develop ideas, be innovative and try new ways of enhancing people’s lives. Having a great team behind me also makes my role more enjoyable. Being removed from the hands-on care within the home. I miss the daily interaction with residents and the relationships you build with them and their families, but it’s the experience of working day-to-day in the care home that drives and inspires me in my current role. Delivering high-quality care to our residents. I oversee the provision of millions of hours of care every year, and for the past two years I have focused on taking the company in a new direction. A Participation Charter ensures residents have a say in their care, and our Together We’re Great initiative sets out our strategy of person-centred care. By undertaking various programmes, including training with financial consultants KPMG, and courses in executive leadership and management, and training and development. I vividly remember the moment that shaped my career in care. I was working in a care home at the start of my journey and was shocked and saddened at how residents were treated. There was a complete lack of personal choice in all areas of residents’ lives, including room preference, clothing, food choices and activities. It gave me a real understanding of the difficulties faced within the sector and instilled in me a drive and determination to make a difference. Become a detective or worked for MI5. My dad was a police detective and I was always fascinated by his job. I’m not going anywhere. Last year I won a care industry award for UK operations manager of the year. I’m exactly where I want to be and loving it. To be compassionate and see the person behind the illness. Too often, people simply see the elderly or frail person standing in front of them. What they fail to see is the lifetime of stories, achievements and knowledge that person possesses. Many of our residents have led the most creative and inspiring lives, ones we can all learn from. Have confidence in your abilities and know that every skill you acquire is valuable. Those of us who started as nurses get such a unique, essential insight into the care home sector, which is worth its weight in gold.